The Church’s mission in tis word is to promote the Truth of the Word of God. 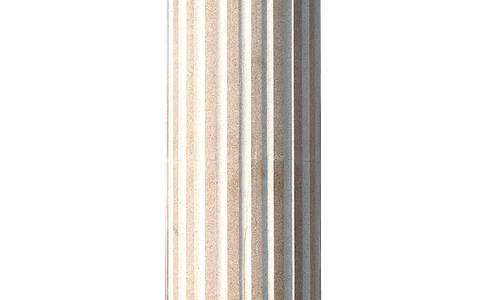 A pillar is something which holds everything else which is on top of it. The Church is to support, protect and promote the Truth of the Gospel of Jesus Christ as the ground or foundation of all things. The tragedy of today’s church is that she has lost her way as that pillar and ground in favor of that which is convenient. We know that the simple method and motivation of the Church is the Person of Jesus Christ. Though this seems all too simple, the reality is that most of the “church” has indeed left their first love, and has become man centered (be it the person in the pulpit, or the person in the pew). What is the mission of the church though? Today we are most definitely commanded to, “…Go ye into all the world, and preach the gospel to every creature. (Mark 16:15).” But, the question we have to face is this. “Who is to go?” As the Apostles were sent by Jesus, we as “apostles” are sent to evangelize the world around us. This is where the local church comes in. The local church is a place for “believers” to “grow in the grace and knowledge of the Lord Jesus Christ” (2 Peter 3:18). In short it is a place for them to fellowship together, learn together and lean together! All for the Glory of God, and His Holiness. We need to be careful to grow in Christ, and not be focused so much on growing numerically, basing teaching upon the felt needs of people, or upon social justice. God will take care of those issues in the hearts of people. When the emphasis is on “growth,” th e tendency s to become pragmatic, doing whatever is necessary to draw people. In hindsight, this way is not only misguided, but is sinful as well. This methodology is used in many churches today. Bringing people in through the use of worldly music, and catering to human needs, will bring in the crowds, merely entertaining goats, instead of feeding sheep. But the reality is the fact of Jesus Christ: His birth, death and His glorious resurrection! That is what needs to be the proclamation in and by the church of Jesus Christ. When He is lifted up, all men will be drawn to Him (John 12:32)! Tragically the pulpit has been replaced by programs. Hymns focused on Christ have been replaced by self exalting worship choruses and expository teaching has been replaced by life coaching. The church’s duty is not to make disciples through human measures. She has a duty to proclaim, or herald, the finished work of Christ Jesus, our Lord. The amazing thing with that is that through the work of the Word combined with the Holy Spirit, people are continually sanctified in His image, not just becoming a better person in this life. In conclusion, preaching and teaching the whole counsel of God may not attract the crowds, but it will encourage and edify the saint. This may not cause the flesh to get overly excited, but it will feed the spirit, slowly building up the Christian UNTO all good works.